Emily (she, her, hers) is a senior from Dayton, Ohio. She is majoring in math and neuroscience. 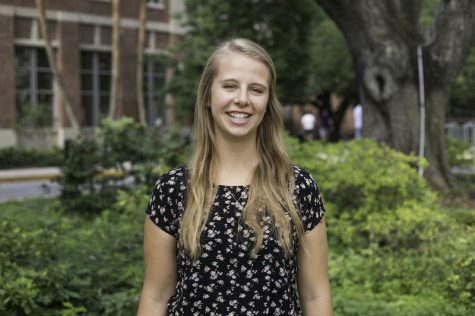 She is also involved in math and neuroscience research and the Tulane Catholic Center. If she were an animal she’d be a frog!